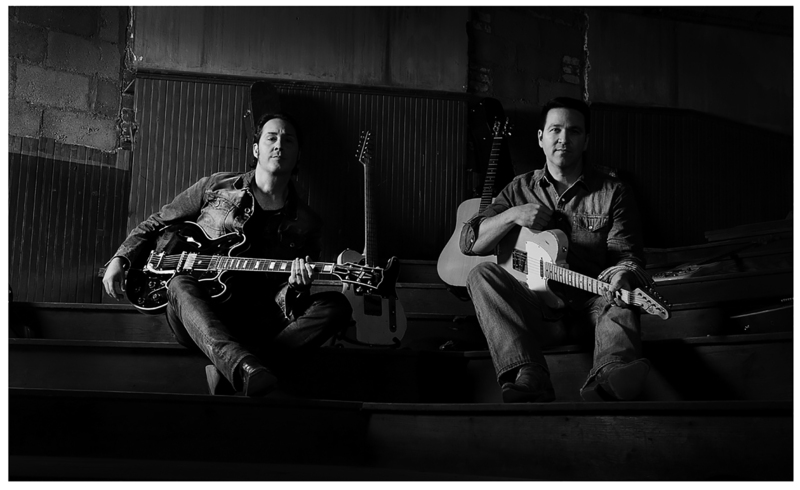 Veteran songwriter Mark Summerlin (BE, Seal, David Foster) has teamed up with virtuoso guitarist T.J. Scarlett (Rut-Bustin’ Guitar, RiverBilly, Barrett Baber) to form the Arkansas-based rock band, Honeyjack. They have created their own guitar-heavy throwback-style, combining elements of 70’s southern rock and 80’s rock radio hits. Mark Summerlin grew up in the bayou-town Houma, Louisiana, but moved to Fayetteville, Arkansas to join progressive rock band, BE with his brothers and a childhood friend. BE toured nationally, had songs appear on TV shows, and helped define the buzzing live-music scene in Fayetteville, Arkansas in the 90’s. After a brief stint as a solo singer-songwriter, (during which he opened for guitar legend Eric Johnson), Mark eventually would go on to be the guitarist and music director for Grammy-winning singer Seal. After 5 world tours, dozens of television performances, and co-writing with both Seal and mega-producer David Foster, Mark began writing for what was originally slotted as a solo project. That quickly changed when he brought in guitar-phenom, T.J. Scarlett. T.J. Scarlett is the owner and director of the guitar-instruction website, Rut-Bustin Guitar. Both his guitar chops and his ability to navigate effortlessly between musical styles have quickly become legendary throughout the South and Midwest. Most recently sitting in with touring acts, RiverBilly and Barrett Baber, T.J. stays busy as the top session guitarist in the area. Co-writing with Summerlin clicked instantly, and they cranked out several southern-rock gems. They have rounded out their powerhouse live band with seasoned locals as well: Stephen Boudreaux on drums (Oreo Blue, Uncrowned Kings), on rhythm guitar and vocals is Brian Watt (Full House, Watts It To Ya), and Paul Summerlin (BE, Seal) plays bass and sings background vocals. Currently performing in Northwest Arkansas, Honeyjack is poised to make big waves in 2018.